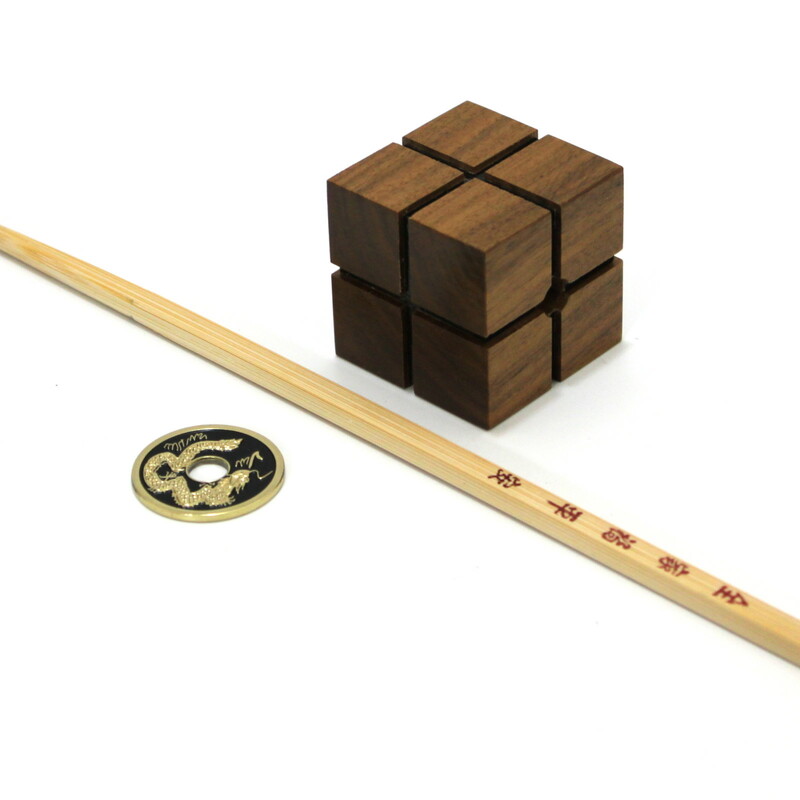 Beautiful precision magic expertly manufactured and although it comes with a spare block to switch I have never seen the need because the gimmicked block is so well made, and unless you really know what you are looking for you’ll never spot the gimmick. 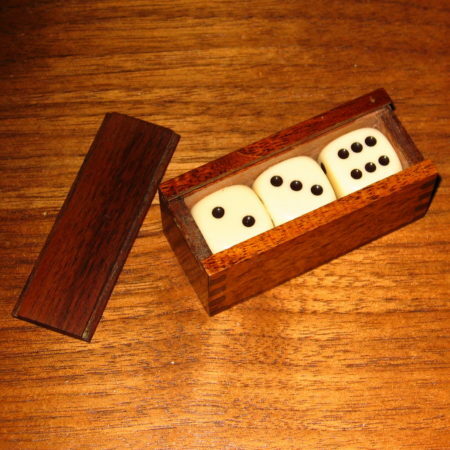 The effect briefly is a ring is borrowed and vanished (using your favorite method). 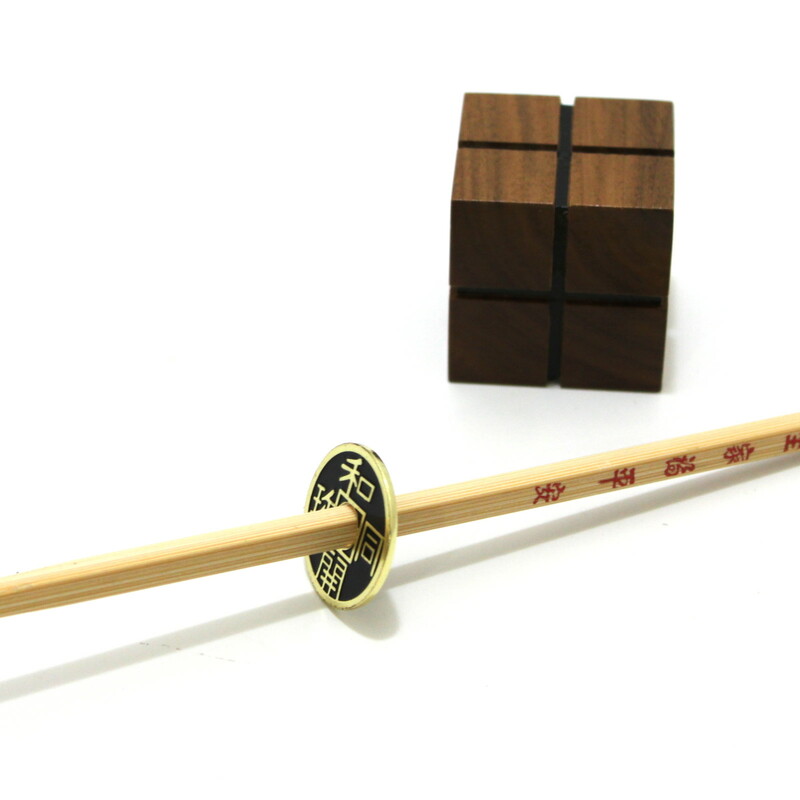 A beautiful wooden cube with a hole running through the center is introduced and ‘threaded’ onto a chopstick (a wand, cord or ribbon can also be used). 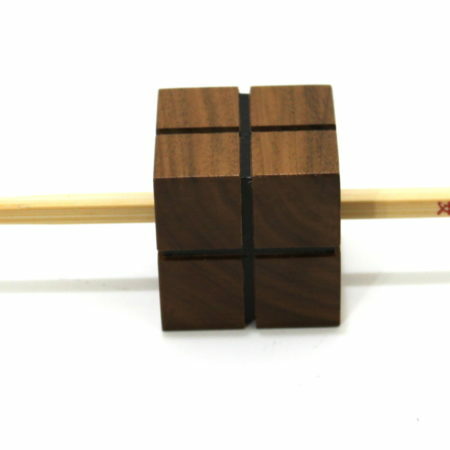 The spectator holds both ends of the chopstick whilst the performer covers the cube with a handkerchief. 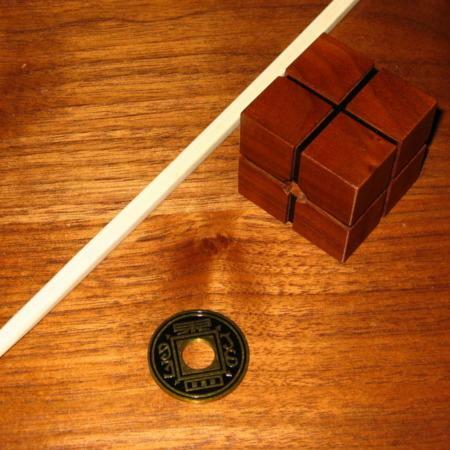 In a few seconds the performer comes out from under the handkerchief with the cube. 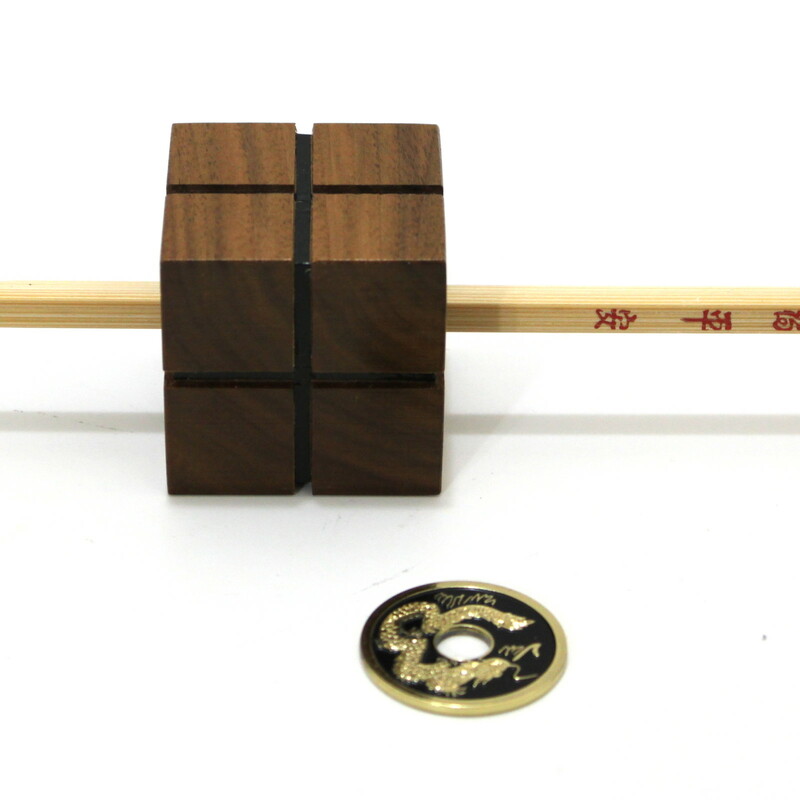 The spectator is still holding both ends of the chopstick. But that is not all, the performer removes the handkerchief from the chopstick and threaded on the chopstick is the borrowed finger ring. The spectator is still holding both ends of the chopstick. 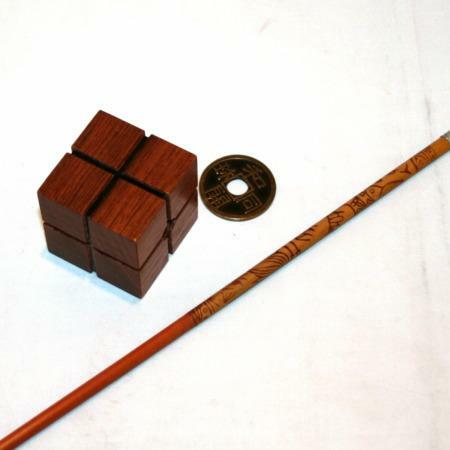 Top quality magic, superbly made, Mandarin Exchange is not difficult to perform and once the handling is mastered the presentation can be a knock-out.